Elected officials urged Landmarks to designate Congregation Tifereth Israel. Photo: The New York Landmarks Conservancy. Wide support for designation of 97- year-old synagogue. 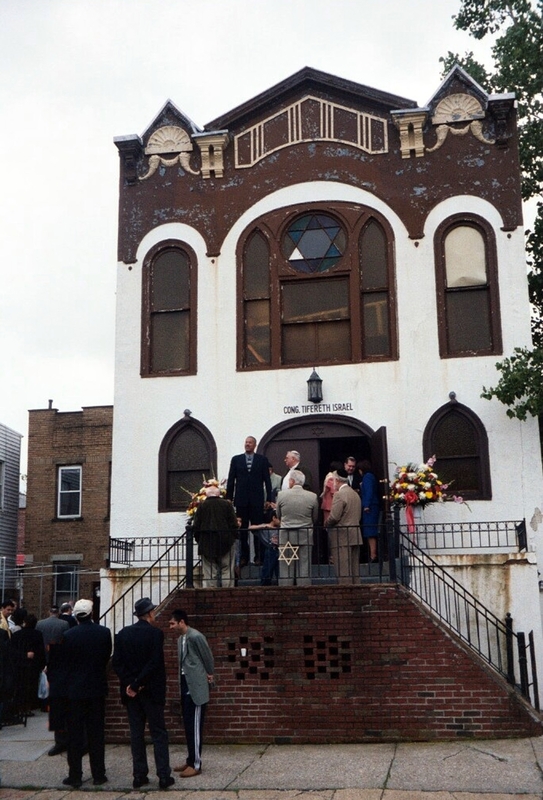 On January 15, 2008, Landmarks heard testimony on the potential designation of the Congregation Tifereth Israel synagogue located at 109-18 54th Avenue in the Corona section of Queens. Tifereth Israel is an example of the vernacular style, common amongst Lower East Side synagogues, and characterized by Gothic, Moorish, and Judaic design elements. Built in 1911 by Yiddish-speaking, Eastern European immigrants, Tifereth Israel today serves new arrivals from Uzbekistan, Tajikistan and other Central Asian republics of the former Soviet Union. At the hearing, a representative for the Landmarks Conservancy argued that preservation is necessary to fend off rapid redevelopment, which has already led to the destruction of several historic buildings in the area. Benika Morokuma of the Municipal Art Society also testified in support of designation, bringing to Landmarks’ attention the building’s listing in the National Register of Historic Places. Queens Borough President Helen Marshall, State Senator John Sabini, and Queens Community Board 3 all provided written testimony in favor of designation. Commissioners Diana Chapin and Roberta Brandes Gratz praised Tifereth Israel for its dedication to preserve the historic building. Chair Robert B. Tierney then closed the hearing and announced that Landmarks would hold its designation vote on February 12th. LPC: Congregation Tifereth Israel, 109-18 54th Ave., Queens (LP-2283) (Jan. 15, 2008).